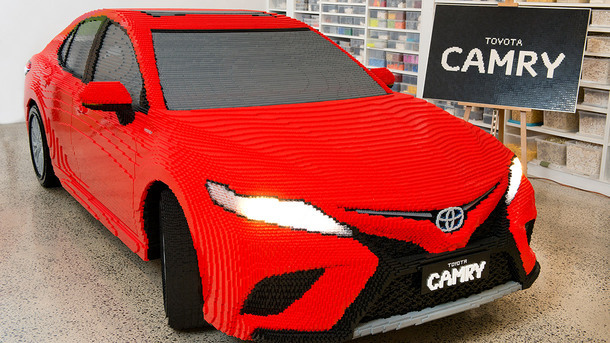 The full-size LEGO® replica of the all-new Toyota Camry has made its eagerly awaited debut at the Brickman Awesome exhibition in Melbourne. 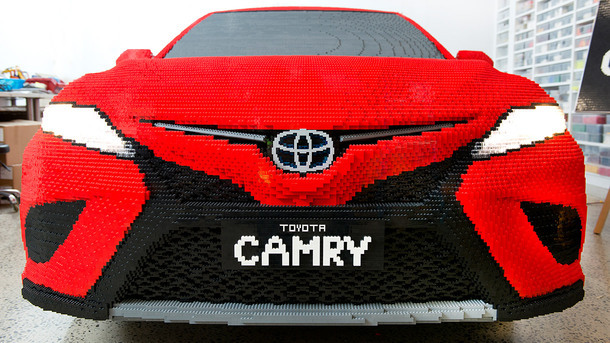 Consisting of more than 500,000 LEGO® bricks, the Toyota Camry replica weighs two tonnes, an astonishing 0.4 tonnes more than the working car. The replica features signature details of the Toyota Camry such as Toyota logos on the alloy wheels, hybrid lettering, working headlights, indicators and brake lights. "We're so excited to introduce the all-new Toyota Camry in a fun and interactive environment to Melburnians," said Toyota Australia chief designer Nicolas Hogios. "It's amazing to see how quickly the car was put together in such a streamlined approach - much like our own design process locally in Australia." "The dedication and time that has been put into this one-of-a-kind project really meshes with Toyota's dedication to the quality, durability and reliability of our respective products. It also provides us a fun platform to showcase the stylish Camry design in a different and interactive way." 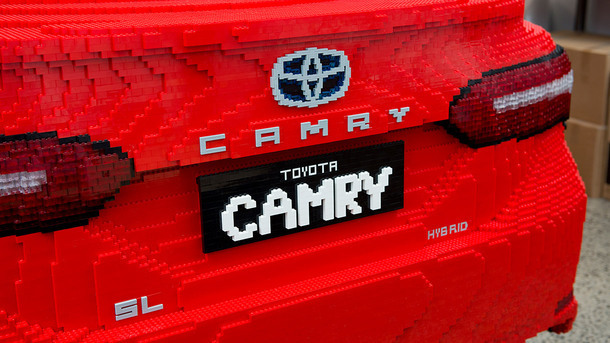 The LEGO® Camry was designed by Ryan 'The Brickman' McNaught, the only LEGO® certified professional in the southern hemisphere and one of only 14 in the world. 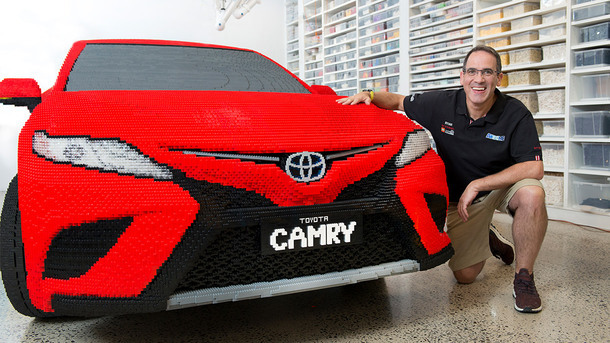 Ryan said: "I'm so excited to be unveiling my newest LEGO® creation - a life-sized Toyota Camry - at Brickman Awesome in Melbourne. It's taken over two months to build and comprises more than 500,000 bricks, but I'm really pleased with the outcome and can't wait to see what everyone else thinks of it! 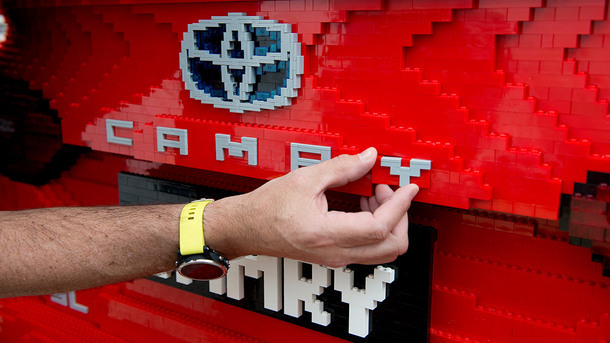 I'm delighted we have partnered with Toyota and I've had this opportunity to build my first full-scale LEGO® car." The high-quality replica took 900 hours to assemble over eight weeks, more than 40 times longer than Toyota takes to make a single car - which includes stamping panels, welding, painting, assembly and inspections. Book a test drive online to experience the All-New Camry for yourself here.